Popular Switchbacks style in an all-new fabric for Venturers! 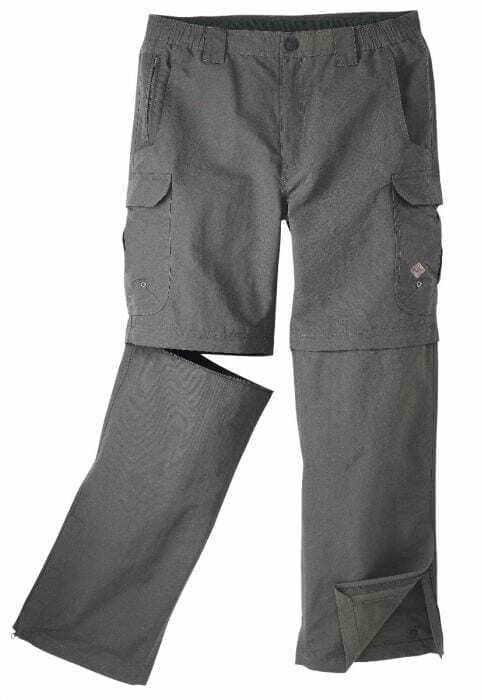 A tough-yet-durable 100% nylon is loaded with high-performance features that make this pair of pants wear better and last longer, including: DWR (Durable Water Repellent) finish, Aegis antimicrobial finish, UPF 30+ sun protection. Other features include triple-needle stitching on inseams and outseams, 7 pockets total (two zippered for secure storage), detachable waterproof pouch, right leg has red zipper pull for easy identification, all pockets include either drain holes or upgraded mesh for drainage. 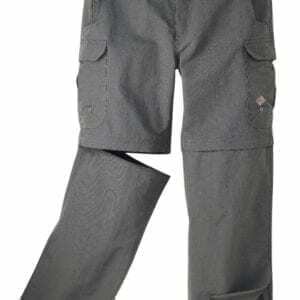 36″ inseam; pants come unhemmed to customize your length. Charcoal grey.